One of the most compelling moments in Lancia history was the historic handover of the Formula One cars to Ferrari in July 1955. The handover took place in the courtyard of Lancia’s plant in Turin. 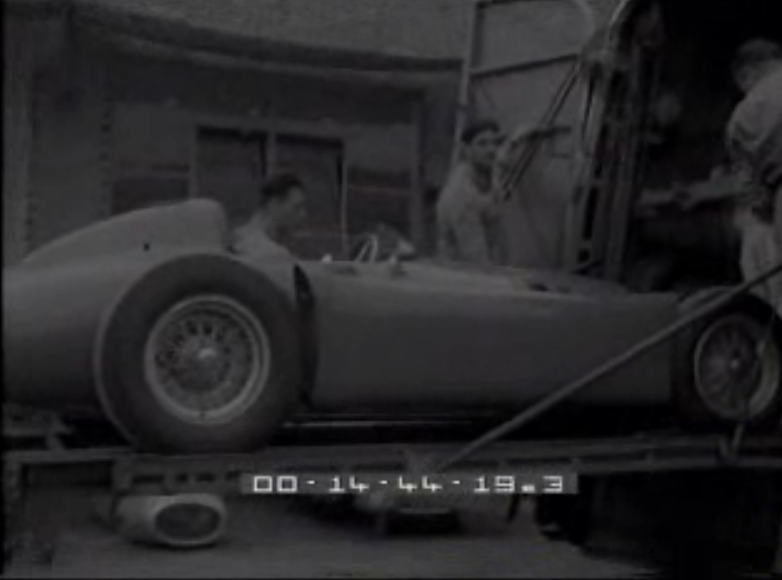 Six cars and many crates of parts were loaded onto transporters and delivered to Maranello. Various photos of the event exist, including a famous retouched photo where the Pirelli logo has been eliminated from the transporter. Not seen before is this clip found by Luigi De Virgilio of film footage of the event. Also shown is the shipping and loading of B24 Spiders onto the James Madison, for shipment to the US. Its rather amazing what comes out of the woodwork these days. « Ducati, Ipad and…. Lancia? How much more is still languishing in drawers, trunks, and boxes all over Italy? Hard to know. 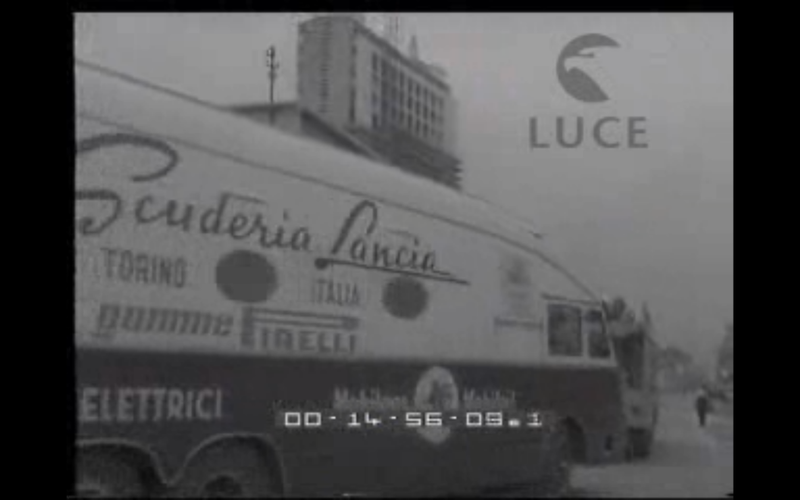 There are many different videos and film strips emerging from 1950s Italy. Some are by BP or news agencies of races and rallies, while others are simply newsworthy events. What is remarkable is that there seems to be film on most anything. Folks in the history of media might help here, but for now, I’m just glad we get to find this stuff. 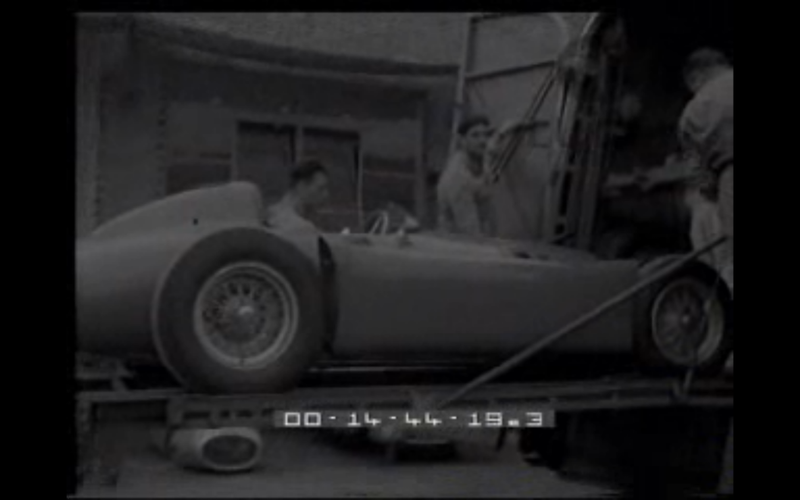 There is (elsewhere on the blog) other videos, and a visit to Youtube will find even clips of Fangio driving a D50!